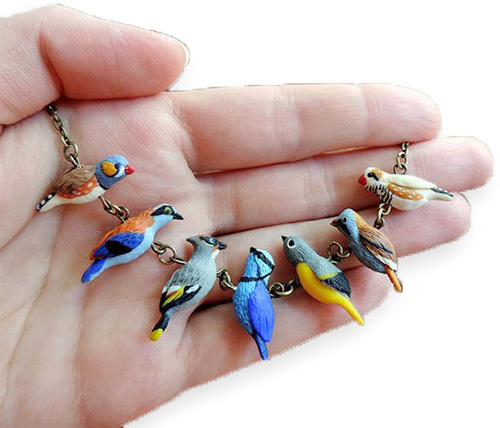 Ukraine’s Darya Tarasenko (SoFoxyClay) delights us with her sculpted polymer birds on a wire. What a great gift for a birder. And perfect for a summer Friday. You can get to know Darya best on Pinterest. Then keep going on Facebook, Instagram, and Etsy. If you feel close to cracking the polymer code and want more info, join us over at StudioMojo where we offer more clues to what’s happening in our world in a Saturday morning newsletter.